You can make your trip on board of a catamaran and tour the coasts of Huatulco, in a 6-hour tour during which you will visit seven spectacular and famous Huatulco Bays. These bays are located on the Oaxacan Coast, in the southern part of the Sierra Madre, between the Coyula and Copalita rivers. Each of them has beautiful beaches with crystal clear waters ideal for snorkeling or simply swimming and relaxing. In the park there are archaeological remains dating from 900 B.C. to 1000 A. D., such as the ball game, located in The central portion of the property, as well as a building to the south. A stone popularly known as "of the sacrifices" is on the edge of the cliff, with a spectacular view over the coast. It is located only 10 kilometers from the Huatulco Bays. 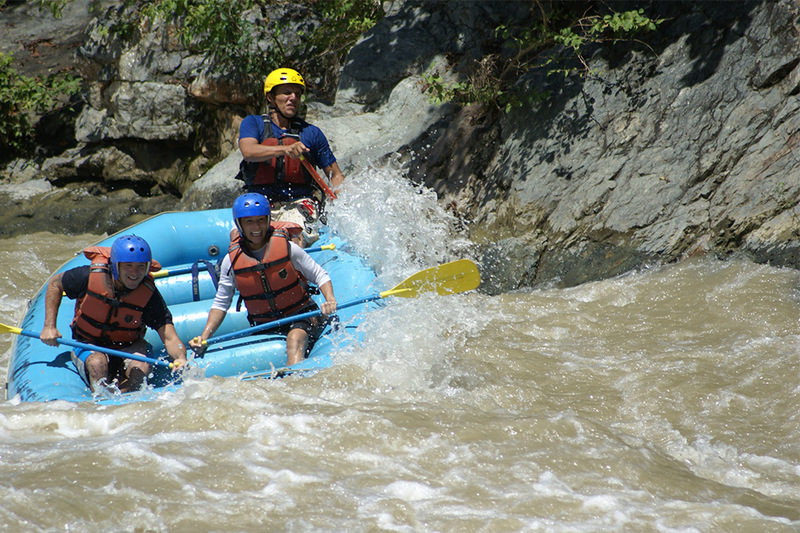 Llano Grande is a refuge of Natural Wonders; it is an indigenous Zapotec Village located in the municipality of San Miguel del Puerto in the State of Oaxaca with countless natural attractions, including its waterfalls and butterfly place. The most beautiful and showy waterfalls are "El Chorro", which has a free fall of 25 meters, and "La Grande", which flows from a height of 20 meters. Such height makes these sites ideal for the practice of rock-climbing. These beautiful waterfalls also form pools, some of considerable depth, where you can swim and refresh yourself. In the area surrounding this place you canobserve different types of birds and butterflies, as well as a great variety of species of leafy trees typical of the jungle. In this site you can practice activities suchas hiking, swimming in natural spas and abseiling.